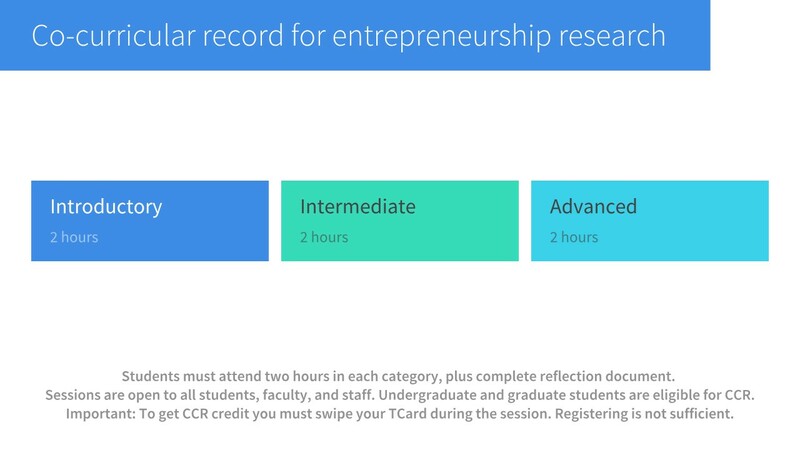 To qualify for the CCR, students must attend 2 hours worth of workshops at each level (see graph below), and complete a short reflection on their experiences. 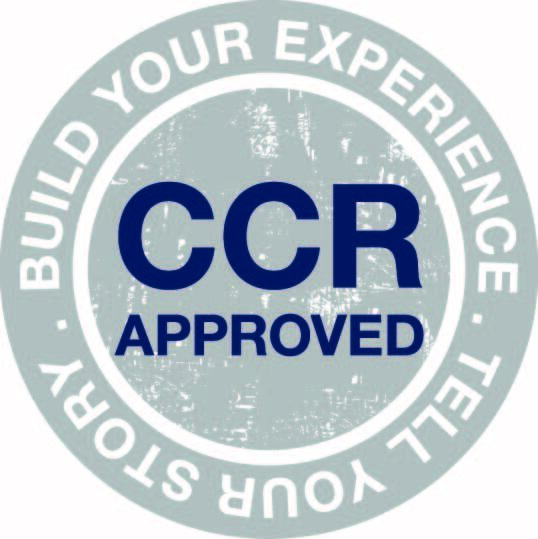 To record your participation for the CCR, bring your TCard to each session you attend and ask the instructor to swipe it. Failure to do so may result in non-validation. If you have any questions about participating, contact Entrepreneurship Librarian Christina Kim, csy.kim@utoronto.ca.